The South Fork of the Shoshone River, Cody, Wyoming, has the most concentrated selections of frozen waterfalls in the United States making it a spectacular location for ice climbing. Seasons usually run November to April. 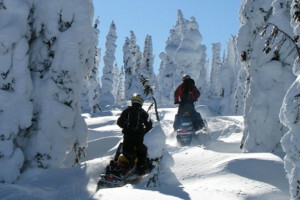 Equipment and guides can be arranged in one of Cody's many quality adventure companies. The South Fork of the Shoshone River, Cody, Wyoming, is renowned for having one of the most concentrated selections of frozen waterfalls in the whole of the U.S. This makes Cody an ideal spot to indulge in some spectacular ice climbing. A wide expanse of the Shoshone River's South Fork freezes from November through to April and offers a wide range of frozen waterfalls. Temperatures average from 5 to 20 degrees and with this large, diverse area it is a perfect place for ice climbing. Cody’s well established reputation for world class ice climbing is catered for with numerous outdoor stores in the area providing all the equipment you could possibly need for your trip. Many shops specialize in ice sports and are reasonably priced with expert staff available to give advice. Guides can be hired from providers in Cody and offer the chance to go on more extreme climbs with a fully trained professional. Guides will always follow safety regulations fully and ensure everyone is well looked after. Find a local club near you and learn about local climbs and places to go mountaineering. Offering classes, courses, and guided travel throughout the mountains of Montana. Travel to Colorado for the annual festival and ice climbing at Ouray's Ice Park!